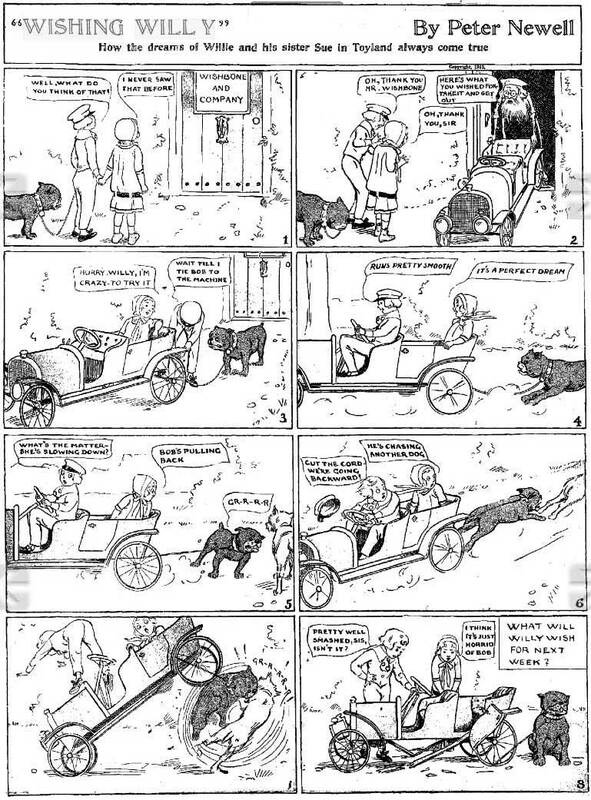 In addition to The Naps of Polly Sleepyhead (1906-1907), Peter Newell produced a second newspaper strip, Wishing Willie (or Willy), published in a few papers, e.g. the Atlanta Constitution, between 3 August and 7 September 1913: a grand total of six episodes, so it must not have been very successful. More Naps of Polly Sleepyhead in full colour; the link above will take you to an almost complete run in b/w on nonsenselit.org. I am a fan of Japanese Peter Newell. It is nice to be seen his work a lot.